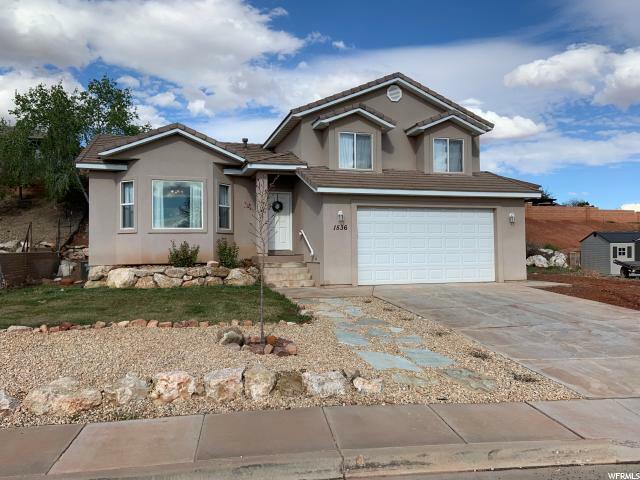 All SKYLINE RIDGE 1 homes currently listed for sale in St. George as of 04/18/2019 are shown below. You can change the search criteria at any time by pressing the 'Change Search' button below. "OPEN HOUSE THURSDAY APRIL 18TH 10AM-12PM & SATURDAY APRIL 20TH 11AM-1PM! Great starter home! Located just minutes from the Snow Canyon Pkwy, Bluff Street, schools, hiking trails, and markets, this home has just what you need! Large window in the front room overlooks the sunset. New premium pad carpet and vinyl planked flooring. Fresh paint! Each of the 3 Bathrooms is a full bathroom! Custom cabinetry in the kitchen and a spacious great room for entertaining! PLEASE VIEW AGENT REMARKS FOR SHOWING/OFFER INSTRUCTIONS."